Michael Osborne is an agent of the CIA. In the two-book series about Osborne, the emphasis is definitely on the suspense of the espionage trade. 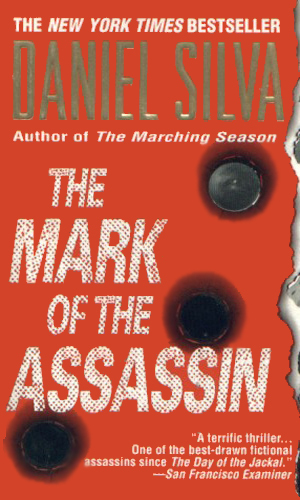 While suspense and thrills are definitely a good part of the ingredients, Mr. Silva's renditions still do well in capturing the internal consternation of the agents. The main character Osborne is not a macho, anything for action kind of operative. He is a happily married man with a future that is at risk as he pursues the bad guys. It is refreshing to read about someone who knows he has something good at home and that if he messes up one bit, it is all likely to be lost. The good thing about Osborne is that his sense of duty forces him to go on despite the concerns. Osborne’s wife, Elizabeth, is a very successful lawyer in D.C. Coupling that with her father being a Senator, she is used to hobnobbing with the rich and powerful, attending cocktail parties that were really summit meetings. Osborne is not as used to that lifestyle and is usually uncomfortable in it but he is changing slowly. Osborne’s relationship with his father-in-law started shakily since the Senator has an extremely low opinion of the Agency, but over the years they have grown to have deep respect for each other. While the Senator does not have an improved attitude towards the CIA, Osborne is a man he trusts completely. The second book has Osborne leaving the Agency but the contacts remain strong and when trouble comes up, he finds himself right back in the thick of the action and again very much an agent, if just not officially. Sent to help investigate a downed airliner, Michael Osborne is concerned that the discovery near the crash scene of a murder victim, killed with three shots to the face, is connected. This method of killing is the trademark of a deadly assassin, one with a score to settle. Recovering from injuries and recently retired from the Agency, Michael Osborne feels it his duty to get involved when his father-in-law is named ambassador to London and a Protestant Northern Ireland group is determined to destroy the peace process by killing the ambassador. 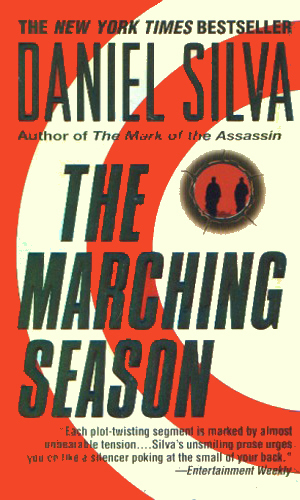 While I have read several reviews of Mr. Silva's works as being 'Clancy-esque' I personally do not see it. Now, I truly like Mr. Clancy and I like Mr. Silva. To me, however, they have considerably different styles and Mr. Silva's skills deserve to stand on their own, which they definitely can. The character of Michael Osborne is a good one, too good to have stopped with just two books. While the author has moved on to another great series, I would like to recommend he think about bringing back a darn good agent. Bring back this character and give Allon and his girlfriend a rest.